If you have not had a chance to see it, the bottle for the new Bleecker Street fragrance is quite striking. 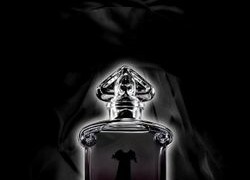 Created by Dave Apel, the fragrance is going to feature notes of violet leaf, black currant, jasmine, cedarwood, cinnamon, oakmoss, suede, patchouli, amber and vanilla. It will officially launch this fall. parislondres: I adore their bottles sadly not the juice as much. I adore the Chinatown bottle. This is also rather funky! 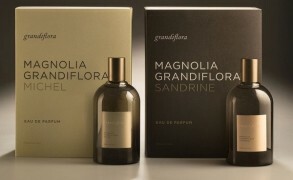 BoisdeJasmin: Dear N, the bottles are truly gorgeous. Laurice is definitely a very creative individual. It makes a difference if the package is well-designed. I love the Chinatown bottle as well, and I actually quite liked the fragrance. mreenymo: What a groovylicious bottle! Too bad I don’t like the fragrances. Thank you for showing this to us, V! BoisdeJasmin: R, you are welcome! I have been curious to see the bottle for a long time.